Posted on January 31, 2014 . No comment. I got a chance to buy this special issue of anan from book store where is located in the heart of Bangkok demonstration. Let’s look inside. Idol related contents take more than half on magazine thickness. 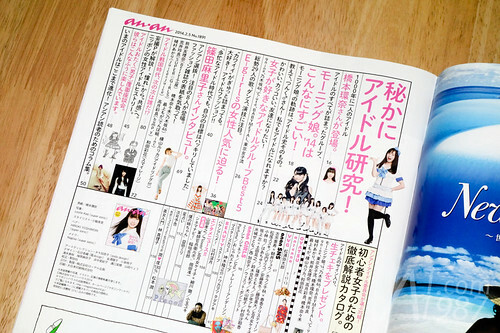 The feature column is the interview of Hashimoto Kanna who is the idol that appear once per 1,000 years. 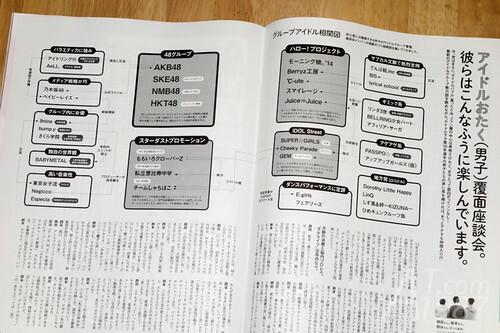 There are the feature column for Morning Musume ’14 and E-Girls. 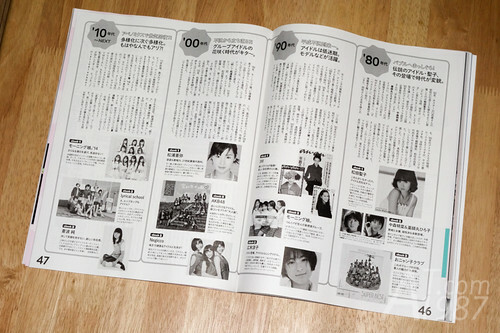 Girls’ favorite idol groups Best 5 consists of the interview of 9nine, Nogizaka46, ℃-ute, Babymetal and Tokyo Girls’ Style. There is the column that comment about idols in each era. Idol fans discuss about idol groups with idol groups correlation chart. If you are boring with the mainstream idol groups and need something new, there is the introduction of 35 idol groups for you to choose from. End of special issue content with the fashion photograph of idol groups members. There is the interview with ex-AKB48 Shinoda Mariko too. For those who like Japanese idol groups, this issue of anan is for you. You can get it from CDJapan.